Bhutan’s exquisite wildlife is facing pressure from poaching and illegal logging. 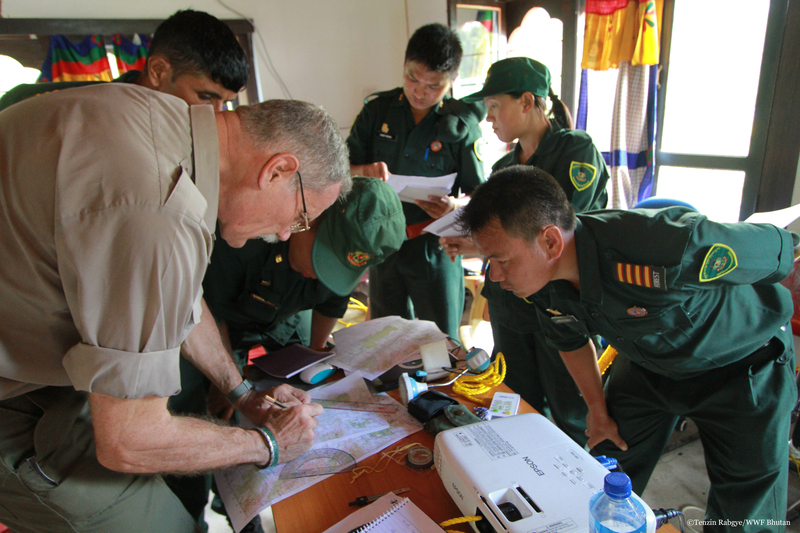 Rangers are the first, and often the only, line of defense between poachers and wildlife. Everyday these committed men and women run the risk of being confronted by armed loggers, poachers or even the wildlife they are working to defend. In spite of these threats, rangers often have no formal training. Some may have undergone ad hoc training, but there is no systematic training and associated facility to ensure that rangers are well trained for their challenging positions. 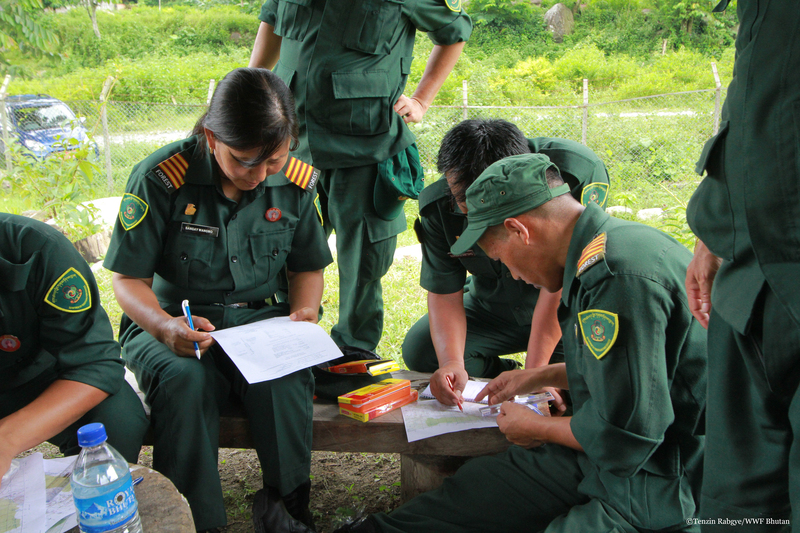 The Ranger training on wildlife law enforcement would not only improve their ability to do their job (protect wildlife and their habitats), but also keep the rangers, our wildlife heroes, safer when they are in the field. 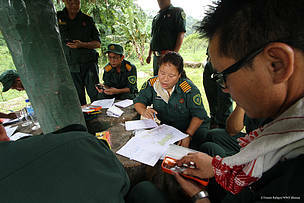 In order to facilitate this, some 90 rangers are being trained by an expert on wildlife law enforcement from the WWF. Crispian Barlow has over 20 years of experience as a Ranger in South Africa. Before that he was part of the Hong Kong police force for a few decades. said Crispian Barlow, Wildlife Law Enforcement Exert from WWF. 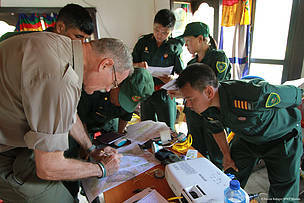 During the training the rangers will be trained on various tactical skills such as apprehension and detaining of suspects correctly and legally and recognizing and identifying signs and evidence of illegal or restricted activities in the field among many other skills. “Poachers are better equipped and have better tactics basically they are one step ahead of us most of the time. Trainings like these are helpful for us to gain the upper hand while dealing with poachers and their illegal activities.” said Yeshi Yangdon, a wildlife Ranger with the Sarpang Forest Division. 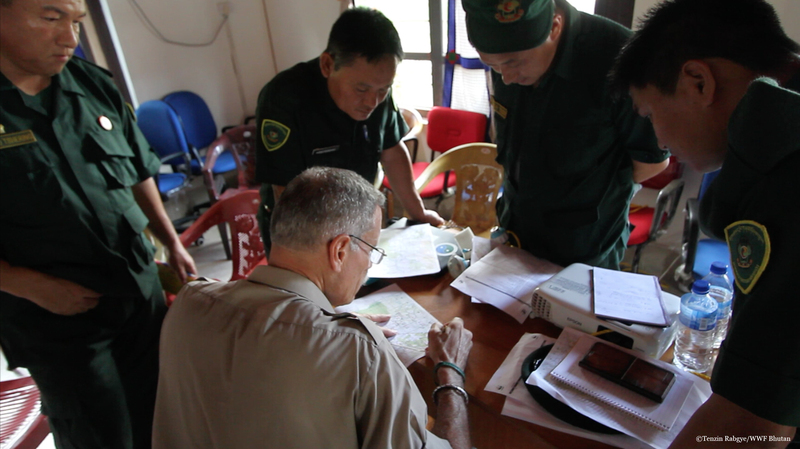 Illegal wildlife trade is becoming a serious threat to conservation around the globe and Bhutan is no exception. 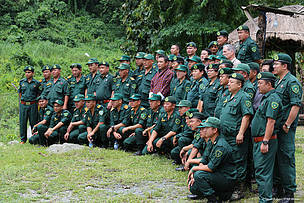 Royal Manas National Park, Phibsoo Wildlife Sanctuary and Jumotshangkha Wildlife Sanctuary will be trained next week. 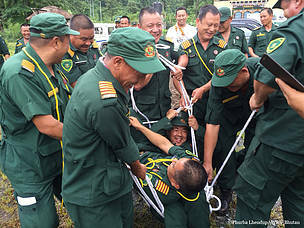 Rangers having some fun during an exercise on what NOT to do.